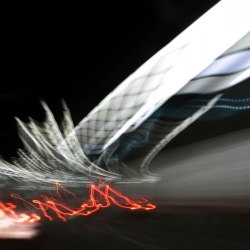 obsessed with these photographs studying the effects of time and space through long-exposure. 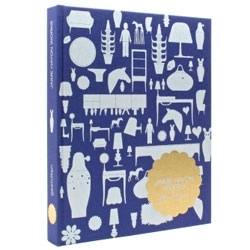 Fancy yourself a connoisseur of typefaces? 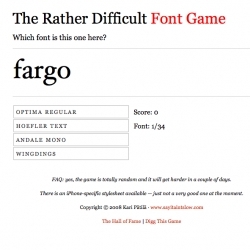 Test your knowledge with The Rather Difficult Font Game. 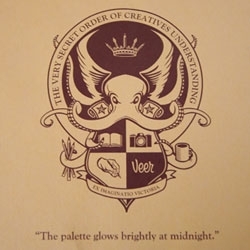 For typography nerds only. 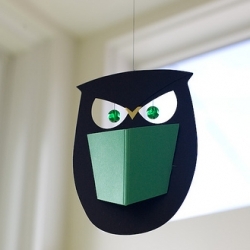 Design Public has these Flendsted Owl mobiles... they feel like nightmares waiting to happen. FEATUREDShort on time or just curious what the top posts across the NOTCOT Network were this week? Here are the top 25 from NOTCOT.org, TasteSpotting, and NotCouture! 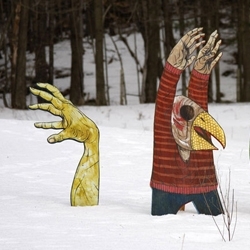 for The Wanderer, Zach Johnsen decided to integrate his characters in nature, by placing them on boards and taking them outside to be photograph. 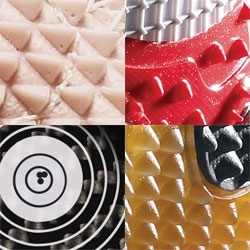 FEATUREDMaterial Design Stories of SHOE SOLES! there are some incredible stories behind the new Nike Olympics Footwear... the material solutions they came up with given the problems they faced are inspiring. 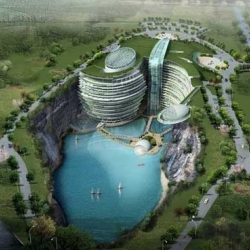 Atkins has won an international competition to design a five-star resort hotel set within a beautiful 100 meter deep quarry in the Songjiang district close to Shanghai in China. 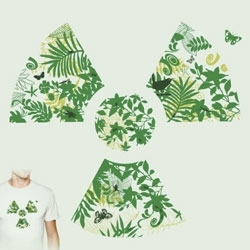 Earth Touch! 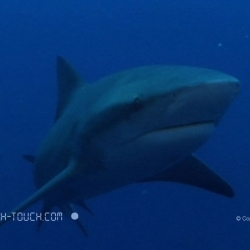 Wonderful wildlife stories told in HD video! 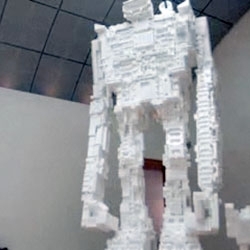 VIDEO22ft Robot Made of Styrofoam inserts from electronics, etc.... ever wonder how these michael salter creations are built? See this crazy video! More Johnny Lee genius (see #9871) This time he rocks everyone's minds at The TED Conference. He'll even have his technology featured as an Easter Egg in Steve Speilberg's "Boom Blox." The Reader's Alphabet. 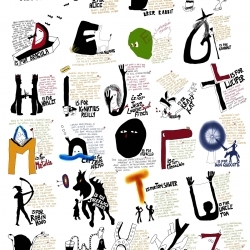 Each letter depicts a famous literary character. 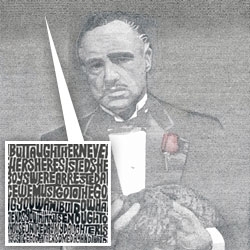 And a little text summarizes the book's story. 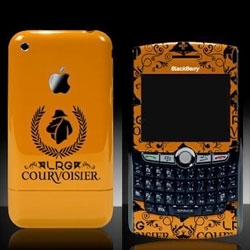 Designed by Hemant Anant Jain. 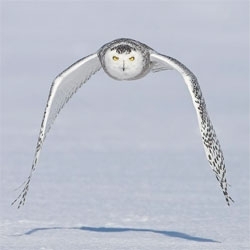 David Hemmings' shot of this "Snowy Owl Floating" Shot in Northern Quebec, Canada... is amazing... see it up close to look into its eyes... i want that kind of focus. 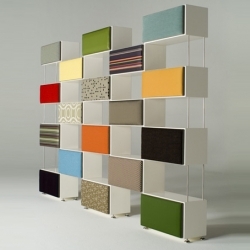 Dekast by Michael Doyen Furniture is a new modular shelving system that is customizable with Kvadrat textiles. 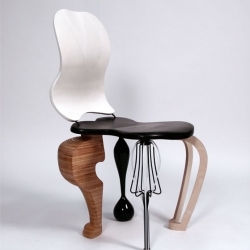 Produced in conjunction with TuttoBeNe, it's premiering at Milan's Furniture Fair this month. Astronomy picture of the day, simple website but often very impressive. 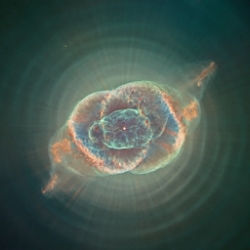 This is the Cat's Eye Nebula, over half a light-year across. Picture of the day at 2008 March 22. 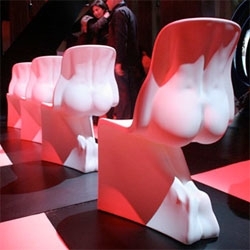 Yesterday the new opera house was opened in Oslo. The opera is designed by Norwegian Snøhetta. The exterior and location makes me think of the opera house in Sydney. 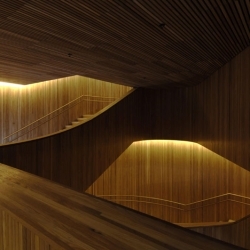 But the interior of the opera in Oslo is much more stunning. 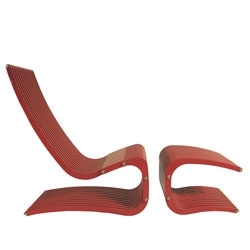 the way the lines flow together on this lounge+ottoman combo by Brothers Dressler is absolutely breathtaking. FEATUREDNike's 2008 Olympics footwear line... there is far more than that equestrian boot (#9878) that amazed me... see them all... and see Kobe jump over the Aston Martin in Hyperdunks too! 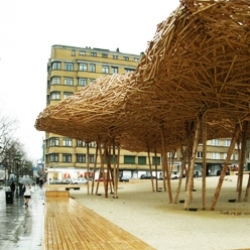 CityScape, an urban installation by Arné Quinze in Brussels. 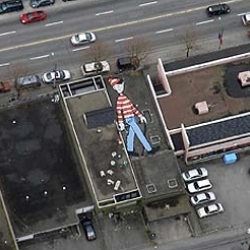 Vespucio Sur Highway corporate building. Features a wood facade that turns into a lamp during nights. 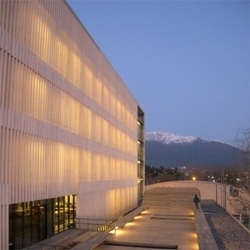 By +arquitectos, at Santiago de Chile. Nike recently announced footwear for every single sport that is represented in the Olympic Games. 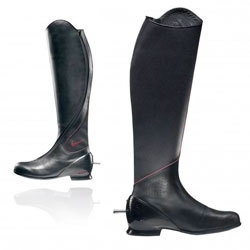 The Ippeas horse riding boots were the ones that most surprised me! Rampenfest - Small German village, large BMW launching ramp. 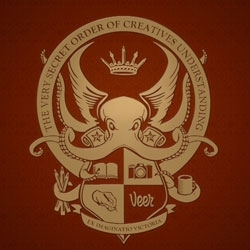 FEATUREDI got this mysterious envelope today, and it contained the membership booklet of The Very Secret Order of Creatives Understanding... and membership card... best Veer mailer/microsite yet! 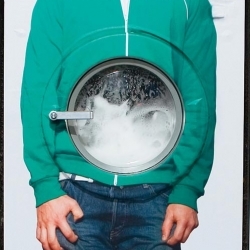 Creative action of Guerrilla developed by Publicis in New York for the Pepto-Bismol. 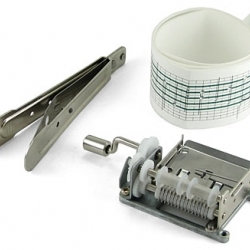 the DIY Music Box Kit can play any song you program on the strips of paper as each stud plucks out the tune. Some consider this technique to be the world's first software! 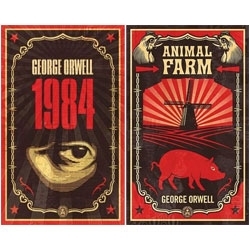 Shepard Fairey redesigns covers for the classics - Animal Farm and 1984 - for Penguin! 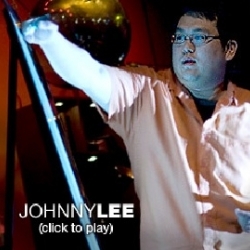 Johnny Chung Lee - does amazing wii hacking. 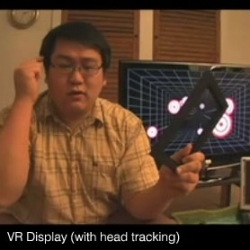 Head tracking. 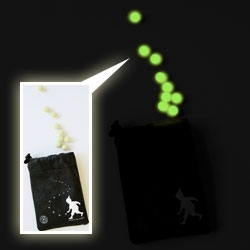 It's simple, cheap and would make any game so much more interesting. This turns your flat panel tv into a 3d-environment. 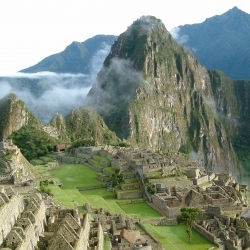 Incredible videos! Can't get enough of the funky fragrances by Etat Libre et Orange - like Bellybutton, Bubblegum and Incense, and Delicious Closet Queen. But the one that really makes me happy is Jasmine & Cigarettes. 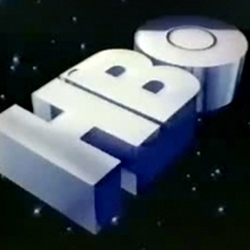 An informative video showing how the 1983 HBO Intro produced. 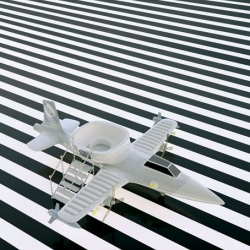 Let 31 industrial design students work together but isolated - on the same project? Inspired by the folded sketch, a child’s game where you draw one part of a character not knowing how the previous or next person will draw theirs. 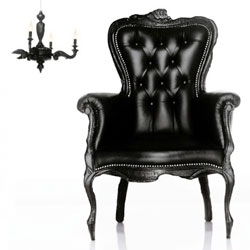 The Smoke Chair by Moooi - a classic set aflame and refinished in lacquer and leather for a contemporary edge. Incredible high res image... of the future? 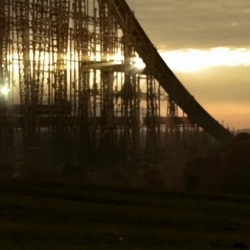 With an incredible city with flying cars... dumping out to an archaic town? 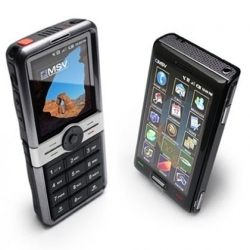 MSV satellite phones designed by Altitude, Inc. were recently shown at CTIA 2008, in Las Vegas. 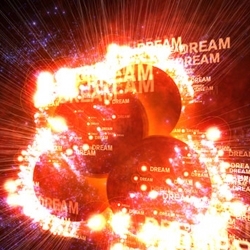 I'm a big fan of Processing, so I was amazed to find Robert Hodgin's video creation based on a song by Goldfrapp. 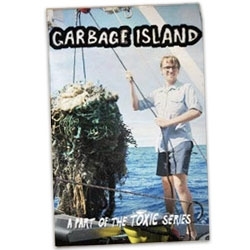 Garbage Island - Incredible - VBS actually chartered a 3 week trip out to the Great Pacific Garbage Patch that we've been fascinated by for a while now... and made a 12 part mini series... see the first few parts up now! 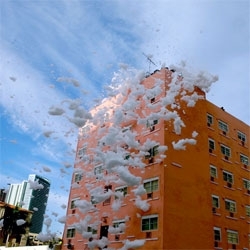 From Sony's massive street filling Foam Shoot in Miami... check out some of the high res images! 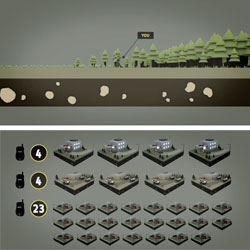 Superfad's two ads for how Sprint have really helped in times of emergency have gorgeous animations, fun infographics, and stuck in your head music. 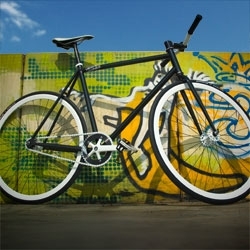 Awesome stuff.